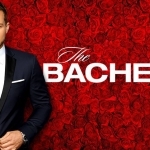 Last night on “The Bachelor,” Colton Underwood and the ladies headed to Thailand! Besides the usual drama, last night’s installment saw one contestant get her first kiss, one do everything but it in Colton’s bed, and another quit the season! Heather, the never-been-kissed contestant, got the one-on-one date. The show made sure to include plenty of footage of the two eating and blowing kisses to monkeys leading up to the real deal… Heather got her first ever kiss. It was a picture-perfect moment – fireworks were in the air literally and figuratively as the two kissed on the beach. She also got a rose after revealing to him that she was in a relationship with someone for eight months without kissing them. When Heather got back from her date, all the ladies seemed happy for her – except for Elyse. She was so upset that she doesn’t get “the time and attention that a relationship deserves” that she got all dolled up… just to break up with Colton. He tried to stop her from quitting the show by assuring her that it’s “not about competing” (even though that’s pretty much the whole deal), but it wasn’t enough. So, she’s out. Onyeka decided to start some drama with the drama/pageant queen herself, Demi. She dished to Demi, and Colton, that Elyse had told her Nicole was only on the show to find a way to get out of Miami. Nicole obviously denied it when Colton confronted her about it, and Tayshia backed her up. Things got steamy between Cassie and Colton for their one-on-one. After going out to sea and heading to a private island, she ended up in his bed… but, you know, he’s a virgin, so they were just making out (a lot). He told her he’s crazy about her, even though he admitted he validated her worries about not being a virgin, and gave her a rose.